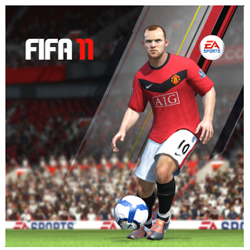 EA SPORTS™ FIFA Soccer 11 is available in today in Canadian stores. Localized into 18 languages and available in 51 countries, FIFA Soccer 11 is the most popular sports videogame in the world (based on total sales in 2009 according to the NPD). It will be available for the PlayStation®3 computer entertainment system, Xbox 360® videogame and entertainment system, Wii™, PC, Nintendo DS™, PlayStation®2, PSP® (PlayStation®Portable), iPhone® and iPod® touch. FIFA Soccer 11 for Wii will be available throughout North America beginning Oct. 4 and on Nintendo DS throughout Europe and Asia on Oct. 8. FIFA Soccer 11 reinvents player authenticity–on and off the ball–-with all-new Personality+. Individual abilities are now reflected in-game, allowing clear differentiation for every player on the pitch. Plus, players will experience true freedom in man-to-man interactions with 360° Fight for Possession that transforms physical play from lateral jostling to full 360° collisions and new Pro Passing, where pass accuracy is determined by a gamer’s ability on the control pad, and player skill, situation and urgency on the pitch. My Live Season premium service for FIFA Soccer 11 on Xbox 360 and PlayStation 3, which enables subscribers to feel the weekly pulse of soccer with dynamic updates of real-world information, will be available beginning Sept. 29. The My Live Season premium service will feature weekly updates of player form, transfers, injuries, suspensions, fixtures, results and league standings for Barclay’s Premier League, La Liga BBVA, Ligue 1, Bundesliga, and Serie A. My Live Season is valued at $4.99 for the ongoing season on PlayStation Network and 400 points on Xbox Live Marketplace for each individual league. A package of all leagues is available for $9.99 for the ongoing season on PlayStation Network and 800 points on Xbox Live Marketplace. FIFA Soccer 11 will feature Online Pass (restrictions and conditions apply), a one-time use registration code with each Xbox 360 and PlayStation 3 copy sold new at retail which allows access to online services and features. This entry was posted on Tuesday, September 28th, 2010 at 11:14 am and is filed under Everyone, National News, New Releases, Sports. You can follow any responses to this entry through the RSS 2.0 feed. You can leave a response, or trackback from your own site.